On the heels of the recently confirmed collaborative Air Force 1 with Nike, Carhartt is turning its attention to a three piece set of Converse One Stars. Carhartt’s rugged aesthetic blends perfectly with how Converse styles their sneakers, as the primarily canvas-ridden uppers get a premium overhaul to increase the model’s lifespan. Given three options, fans of this poor weather-friendly set will have their choice between a militaristic olive green, clean black, and stark white. With durability in mind, the working man’s label has infused these three finely crafted selection with Cordura fabric, a long-lasting textile composed primarily of nylon with cotton an other fibers mixed in for strength and comfort. Carhartt branding can be seen on the One Star’s tongue and insoles, while Cordura’s signature tag comes partially-concealed between its tongue and ankle collar. A subtle nod to Carhartt’s roots in Detroit makes its presence known on the aforementioned tongue label as well, with a “313” area code. 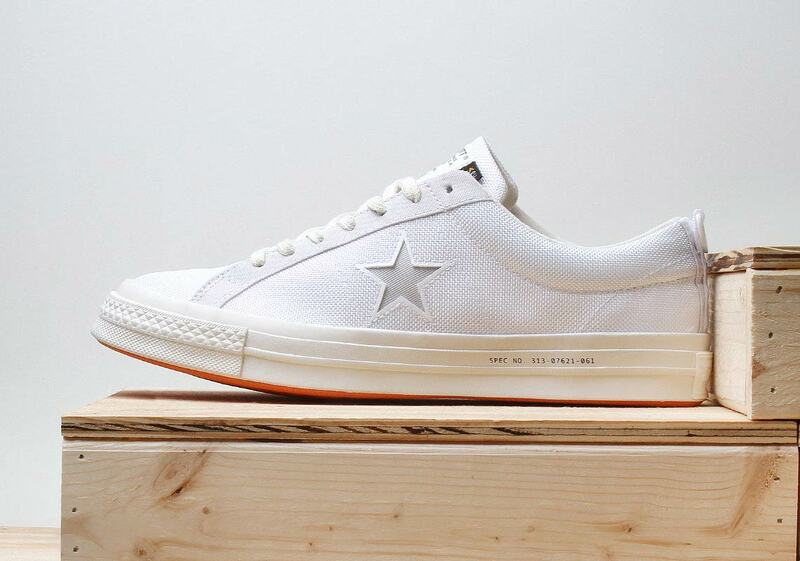 A die-cut Converse One Star dons each color’s midfoot to complete the look, presenting a customary look for the brand’s avid fans. Enjoy a first look at this esteemed pairing’s work below and expect a release Thursday, September 20th. 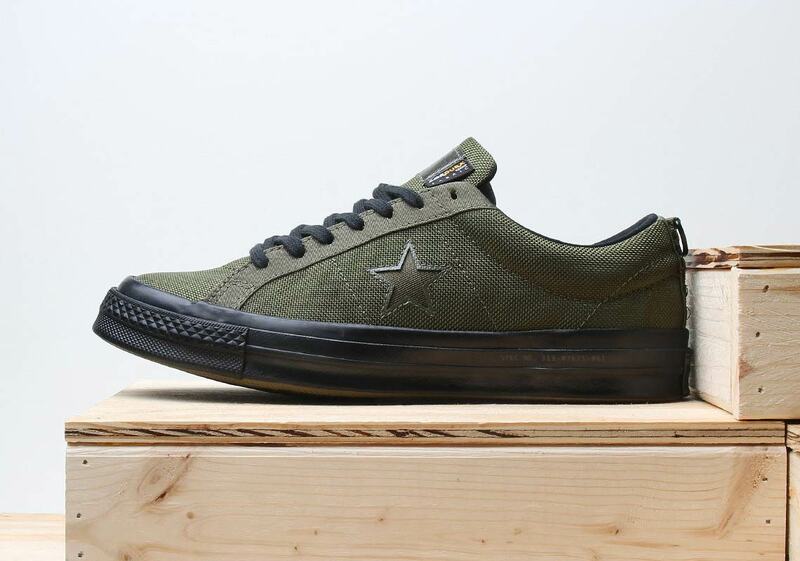 The post Carhartt And Converse Add Cordura To The One Star appeared first on Sneaker News.